These premium tomatoes are roasted over open flames to add an authentic, fire roasted depth to your chili, sauces, pastas, soups, dips, curries and so much more. Tried your whole peeled tomatoes and found them to have excellent flavor. I would buy them again. 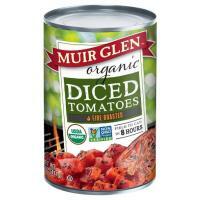 I am a huge fan of the canned whole tomatoes.